Just about every company out there is having some sort of Black Friday sale (many of them already started). Well, I figured I'd help out by collecting a bunch of their announcements into one spot for you. 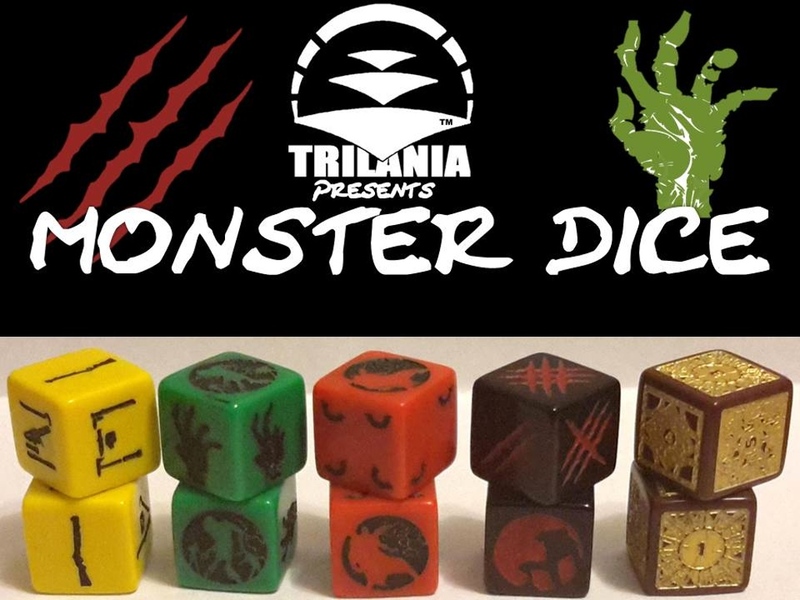 We have sales from: NonsenseMiniatures, Voodooworx Miniatures, Tercio Creativo, Victoria Miniatures, Deep-Cut Studio, e-Minis, Hydra Miniatures, Micro Art Studio, Kromlech, Hyacinth Games, and Advanced Deployment. When people ask me what I'm doing on Sunday, I generally say, "As little as possible." Granted, considering today has included making breakfast, doing dishes, doing laundry, prepping to cook what will be dinners this week, work on putting together models, and work on a review article, "as little as possible" actually include a lot of things. 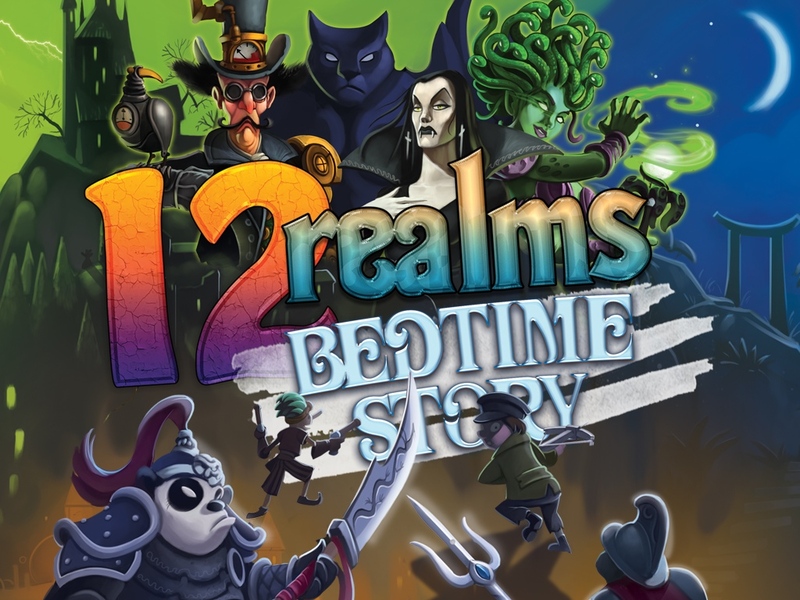 It also includes bringing you some bite-sized gaming stories. So let's get to it so I can get back to that giant list of things. 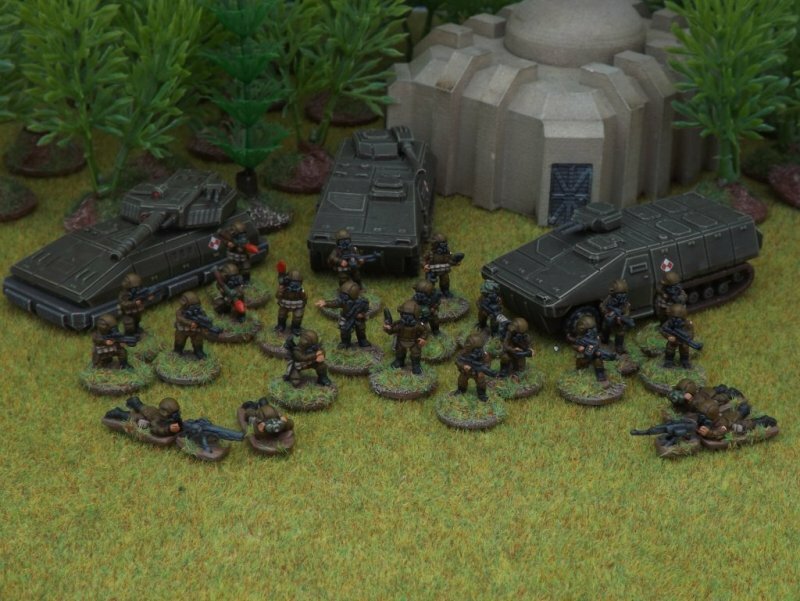 Today's stories are: Victrix Previews Iberian Cavalry, New Release Available From Hitech Miniatures, Mounted German Schutztruppen Available From Askari Miniatures, Pledge Manager to Open Soon For Toughest Girls of the Galaxy II, and Voodooworx Miniatures Release Hul'Gren: The Collector. It's always nice to get things for a bit cheaper than you'd expected to have to spend. I.E. - Everyone loves a sale. As such, everyone should love what Voodooworx Miniatures is up to, since they're having a sale (the logic here is flawless). Busy Sunday here at the bear cave. The past couple days have been full of classic D&D action, and now it's catch-up-with-all-the-work time. For the record, the DM of the game I played in knows me well. He picked a Totemic Druid for me to play and, of course, picked polar bear as my totem animal. *smirk* It was a good time had by all. "Defeating some giant ants by way of sugarbomb" sort of good time. But anyway, we've got our usual batch of bite-sized stories we want to bring you. Wednesday. The previous weekend is two days behind us. The next weekend is two days ahead of us. We are perched atop a precipice. Which isn't to say "it's all downhill from here," but I guess you could consider it as such. At the very least, I hope the first half of the week went smoothly and that the rest of the week follows suit. In the meantime, we've got our collection of bite-sized stories we want to present to you now. In this batch we have: Adarga Castings releases new 28mm Korean War Communist Forces, Heroic Maps Releases Wardenhale: Docks, The Gentleman's Query, A Refined Coin Series - Coin #1 on Kickstarter, Voodooworx Miniatures Launch New Website, Warfighter/Skirmish Sangin "Hearts and Minds" Free Scenario Releases, 15mm Orc Buildings pre-order offer at 15mm.co.uk, Punkapocalyptic Previews Stretch Goals on Indiegogo, Monster Dice by Trilania up on Kickstarter, Brigade Models - new 2mm English Forts, Red Duke Games Announces Upcoming Kickstarter for Numinous card game, Dungeon Revolutions by Brickerium coming soon to Kickstarter, and Free Robot Stretch Goal Added to Ramshackle Robots Kickstarter. Here we are again. Half-through with the week. With any luck, you've had some gaming opportunities. Or at the very least, have some coming up. Looks like I've got D&D again this weekend. Should be a good time, though we've got a player moving to Ohio soon. So we're getting in whatever sessions we can before then. Anyway, as per our custom, we've collected some of the more bite-sized stories we've collected over the past couple days and present them to you now. In this batch we have: New Cultists and Female SFA Troopers released at 15mm.co.uk, Mage Company Previews Upcoming 12 Realms Kickstarter, Burrovian Casualty Packs for Flintloque Released, End Times Units & The One Page Rules Playroom, Icarus Miniatures Concept Art Preview: Kara Mariasha, Some more Editions of The Fiver from The Meeple Mechanic, Kabuki Models Previews Little Red Riding Hood, Amera Plastic Mouldings New 15mm trenches released, World's End Publishing to Officially Release This Is Not a Test on May 2, RN Estudio releases Kyara miniature, New Satyras The Faun mini from Blacksmith Miniatures, Voodooworx Miniatures Release New Character, April's Free Skirmish Sangin Scenario Now Posted, New Undead Ground Round-Lip Bases from Tabletop-Art, Sally 4th Press Release: 28mm UK style roads, New 6mm SF Desert Buildings from Brigade Models, Fantasy Coins Kickstarter Happening Now, Deep-Cut Studio releases urban ruins themed gaming mats, and Fireforge Games: Euro price list changes. 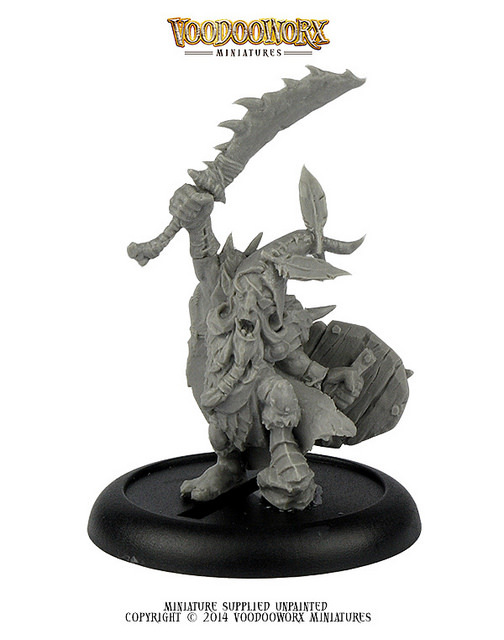 Voodooworx busts onto the miniatures scene with their first ever mini. 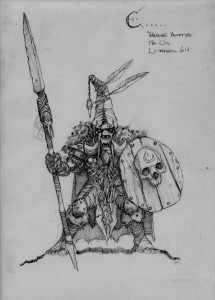 Hau'rax The Butcher infamous warlord of the Blackskull clan would make a fine hero for an Orc and Goblin army, or as the leader of a goblin clan that your PCs must take out. Perhaps he could be part of your Mordheim gang. With the detail, even if you just picked him up to paint, there would be plenty of interesting details to work with. 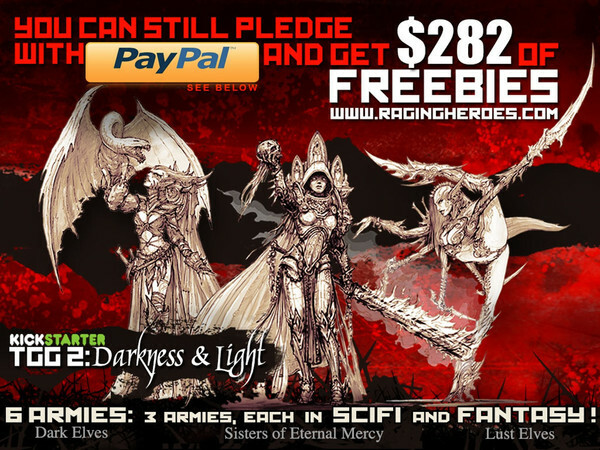 Voodooworx Miniatures has their first previews up of the artwork for the fantasy minis they're working on. These certainly aren't your Tolkien-esque halflings. Voodooworx Miniatures have just released sneak previews of some of the concept artwork over on their Facebook page, for their new fantasy miniature range - The Evil Halflings. Work will begin on the sculpts right after they return from the Christmas break, in January. Lots more concepts and WIP shots of the miniatures will be released in the coming months. Secret Weapon Miniatures and Voodooworx have teamed up with SWM taking over the Voodooworx product line. Secret Weapon Miniatures is happy to announce that it will be adding the complete Voodooworx product catalog to its already extensive selection of resin bases and accessories. There will be a short transition period as the masters make their way into new molds and Secret Weapon expects to re-launch the line in November. Voodooworx will continue to offer commission sculpting and is already at work on additional products for the Secret Weapon product lines. Voodooworx has released some new cobblestone bases (of basically any size) as well as some new display plinths and new display base donutz (that's how they spell them). I've just uploaded my new round lip Cobblestone bases to the website. I am also working on square and round bevel edge versions of these, which I'll be releasing over the next few weeks as I finished them. I also recently added three new cylinder plinths and the first of my new 'Base Donutz' range. 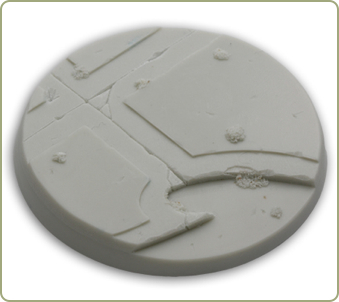 if you create display bases for your squad or regiment competition entries, my Base Donutz will allow you to quickly create the recesses to place your miniatures in. There are magnetised versions available too. More sizes are on their way. 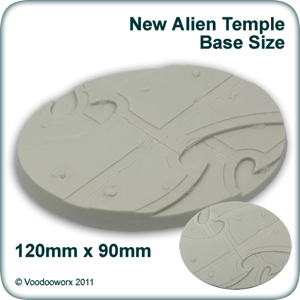 We’ve just released our brand new Ancient Sands gaming bases, perfect for your desert armies. Prices start from just £2.00! Also available is the Ancient Sands Battlegroup Bundle, which gives you a great 10% saving on the bases in the pack. Visit our website now to see the full range of bases available. Voodooworx is having a sale on their plinth display pieces. From today until the end of October we are having a sale on all of our display plinths. Sale prices start from JUST £1.50! So there has never been a better time to stock up.